In the Metro Denver area, the average detached new home sales price is approximately $534,870 for the past 12 months as of June 30. This represents a 4% increase from a year ago. This price point has caused an affordability issue for some home buyers so they end up purchasing a townhome, duplex, or condominium in their desired neighborhood. For home buyers, the appeal of a newly constructed home is very clear. It is new! Everything inside and out is how you want it from the paint color, flooring, heating, air conditioning, and appliances. No maintenance is necessary. All you need is furniture to enjoy all the benefits. With that being said, buying a new construction home does have its area of problems or challenges depending on how you look at it. 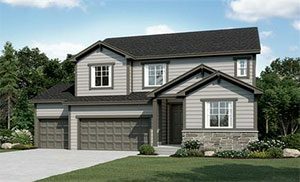 If your objective is to get a discount (like most people), call the new homes sales consultant in one of the Front Range counties in Colorado you are seriously considering. Ask them if any homes for sale that are completed or nearly completed where the deal fell through. If they answer yes, see the home and find a way to negotiate the price down to somewhere between 5% to 10% below the asking price. Solution: Let the builder know you can close quickly for the right price. Show them that you are pre-approved and be forthcoming about your credit, finances, and down payment funds. Make them feel confident you can close unlike the previous buyer with your pre-approval letter from a trusted lender. If you have to sell your home before purchasing the newly constructed home, sell your current home prior to signing the purchase contract to build the new home. You can put many of your possessions in storage, and rent for six to nine months until the construction is completed. Quick Lender Tip: Rent at the same price your mortgage was or slightly higher to make the lender feel comfortable about your housing payment history. Lenders like consistency. Upgrades in new homes tend to be priced above what you’d normally pay. Home builders conveniently offer a variety of choices for appliances, cabinets and flooring. Optional upgrades are a leading profit category for a lot of home builders. Solution: Haggle for lower prices on any upgrades. Builders may have room to negotiate if their profit margins are high in this area. For those who want to upgrade on their own, it will require time and vetting the installer and outside company. Keep in mind that specific elements that you’ll find on existing homes are not always included on newly built home. Did you know that a deck and/or patio, window coverings, landscaping, or fencing may not be included? Solution: Ask if these items are included, and consider the cost of having them put in when making your home-buying choice. Anticipate constant noise in the day time. Purchasing a home in a new subdivision could mean enduring being disturbed by the sounds of construction workers and machinery for many months or years if your home was among those initially completed. Solution: If dealing with constant noise is a serious problem for you, stick with new homes that are not located in new subdivisions or a new home development where most of the homes are already finished. 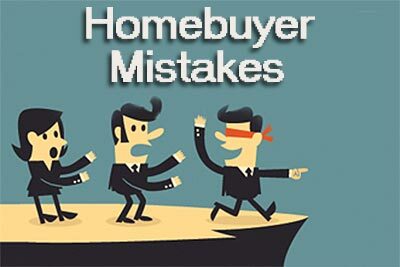 Don’t buy a new home and figure that you will resell it fairly quick. The reason is you are competing with the builder for buyers. The builder can offer incentives for financing, and even offer deep discounts on the upgrades. Additionally, your landscaping is more than likely not mature yet, so right off the bat, the home’s curb appeal is less than a re-sale home. Solution: Expect to have the home as your primary residence for around five years. New Home contracts provided by home builders are drafted to be more advantageous to the home builder and may leave out typical resale home clauses and contingencies covering the home inspection or the buyer’s ability to secure financing. Solution: Take a firm stand to have these contingencies be included or on an addendum prior to signing the offer to purchase. Humans can always make errors on new homes, so be sure to hire a home inspector. New home warranties vary widely in coverage. Some of them offer minimal or zero coverage for particular home essentials for one to two years. Some include exclusions for significant problems like mold. Some homeowners have found excessive maintenance requirements in order for claims to be denied when home owners do not comply. Some 10-year warranties cover just extremely specific components of the home. Solution: Ask your real estate agent and/or a legal professional to review the warranty to ascertain if it is adequate.